32-inch televisions are a good choice if you live in a small space, such as a dorm room, studio apartment, or a guest bedroom. To get the most for your money, look for TVs with 1080p resolution. We’ve listed the best 32-inch TV 1080p options available on the market, so check out our review and do your research before making your purchase. 1. What does 1080p mean and why does it matter? 1080p, or 1080 pixels, indicates the number of pixels that comprise your TV’s picture. In the case of 32-inch TVs, it can be argued that there is little difference between 720p and 1080p on a small screen, even though 720p has around half the pixels of 1080p, and most people don’t notice the difference. 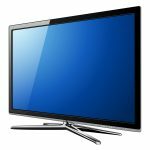 However, since the price of high-quality 32-inch TVs is relatively low, you should get the best television you can afford to get the best features available. 2. Where can I purchase a 32-inch 1080p TV? You can buy a 32-inch 1080p TV wherever televisions are sold, such as from retail stores, specialty electronics stores, and online retailers. 3. What is the difference between LED and LCD? All TVs on the market in this category are known as LED LCD TVs. They are the brightest TVs you can buy without upgrading to an OLED TV. 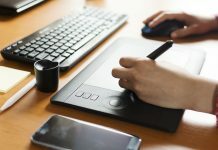 LCD stands for Liquid Crystal Display, which is found on TVs, computers, digital cameras, cell phones, and tablets. LCDs require a backlight, which is where LED, or Light-Emitting Diode, comes in. A more accurate description of LED LCD TVs might be an LCD TV backlight with LEDs. 4. How important are backlights? When buying an LED LCD, opt for full-array LED backlights over edge-lit LED backlights. Most of the TVs listed below have full-array LED backlights, which generally outperform edge-lit LED backlights, meaning that the LEDs were installed in the TV’s sides and facing inward towards the screen. With full-array LED backlights, there are individual LEDs behind the LCD panel. Each LED points outward through the screen towards your eyes. Using full-array LED backlights is more expensive than edge-lit LEDs, but this produces higher quality, brighter results, along with better images, especially on a High Dynamic Range TV. On HDR TVs with wider dynamic ranges, you want full-array LED backlights. 5. What is local dimming? Local dimming is a marketing term that describes technology that improves LED LCD performance. In full-array LED backlighting, there are a set number of zones, where some are intentionally kept dark while others are lit to be bright to improve contrast ratios. The minimum requirement to make this list was that each 32-inch TV had to have 1080p resolution. We have taken research from information available on the listed televisions as well as considered various consumer reviews. 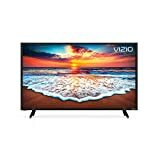 Not all televisions listed here have the latest features, as we were more concerned with the user experience and the overall quality of the picture, sound, weight, and ease of use of the TVs. Smart features were noted but were not a primary factor in compiling this list. Most 32-inch, 1080p televisions run between $200 to $300. Some, such as the Samsung 32-inch Class FHD 1080p Smart LED TV, run at a higher price because of its added enhanced features, but given the small size of the TV, staying within the general range should get you a decent TV for your viewing needs. 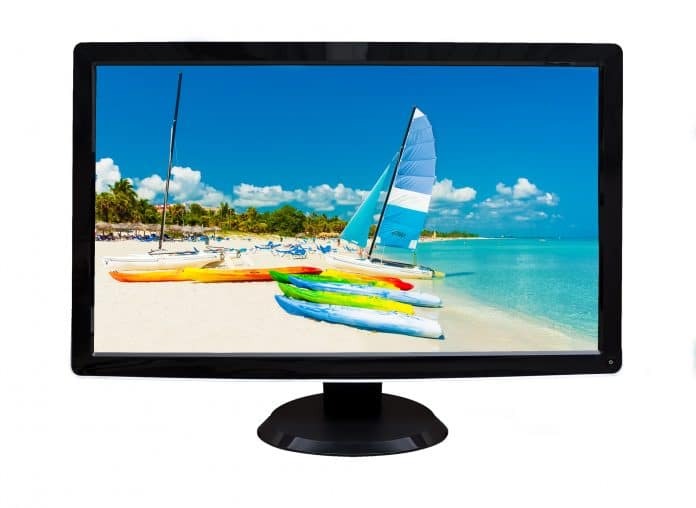 If you are set on buying a 32-inch television, know that HD resolution is your only option. If you want 4K resolution, you will need to spend more on a larger TV. The refresh rate shows how often the screen refreshes, so a faster refresh rate, such as 120Hz, is preferable if you are viewing sports or action films, or if you are into gaming. 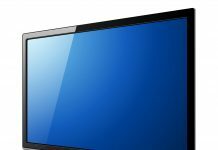 Despite being a small TV, Smart TV functions are available for televisions this 32-inch size, so it’s not uncommon to find a 32-inch TV that supports Wi-Fi or has Ethernet ports. It’s also important that your TV has HDMI input ports, especially if you are a gamer. Aim for at least two ports so you can connect all your devices at once. A 32 inch tv belongs in a small room, one where the seating area is four to seven feet away from the screen. If there is more distance between the location of the seats and the screen, you need to consider getting a larger TV to compensate. 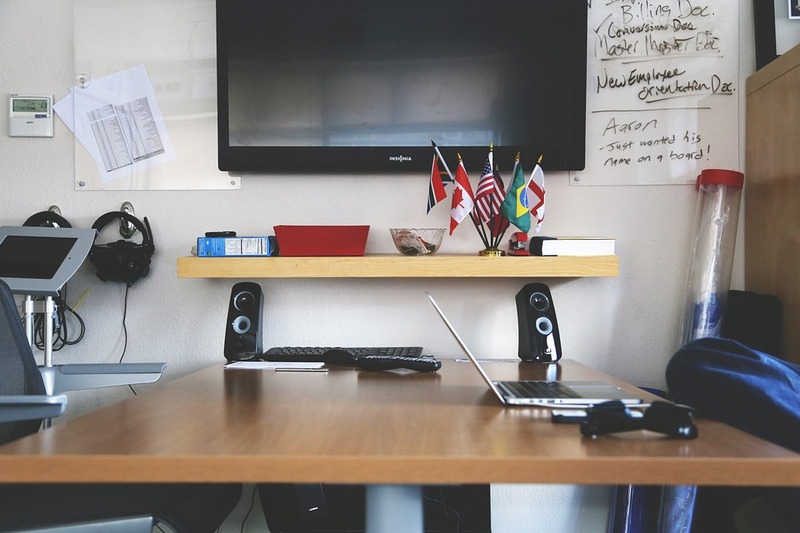 Sitting near screens will cause you to notice contrast problems more easily. Make sure the differences between black and white are very distinct. The TV’s contrast ratio should be 3,000:1 or higher for good performance. 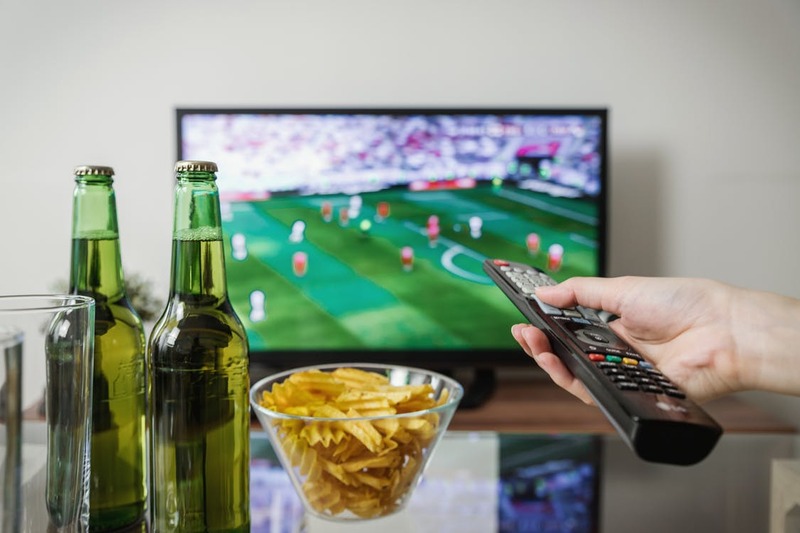 Connectivity is important in today’s televisions. If you happen to find one with Bluetooth support, this will allow you to stream music from smart devices to the TV speakers. Be aware that you are more likely to find this in larger TVs. Something more common is built-in video streaming services which allow you to view content from major service providers. A major brand name TV is more likely to have better user interfaces and stronger application support than a lesser-known brand. The 32-inch screen has become a popular screen size for gamers. For this segment, motion issues are critical, particularly input lag, which indicates how quickly a TV renders image data from its inputs. Ideally, gamers should buy TVs with a game picture preset or a similar mode that is designed to minimize input lag. The design of the television should not be the main factor in your shopping decision. It is more important to consider the picture quality, brightness, motion clarity, and smart features than whether the color of your television is white, black, or gray. 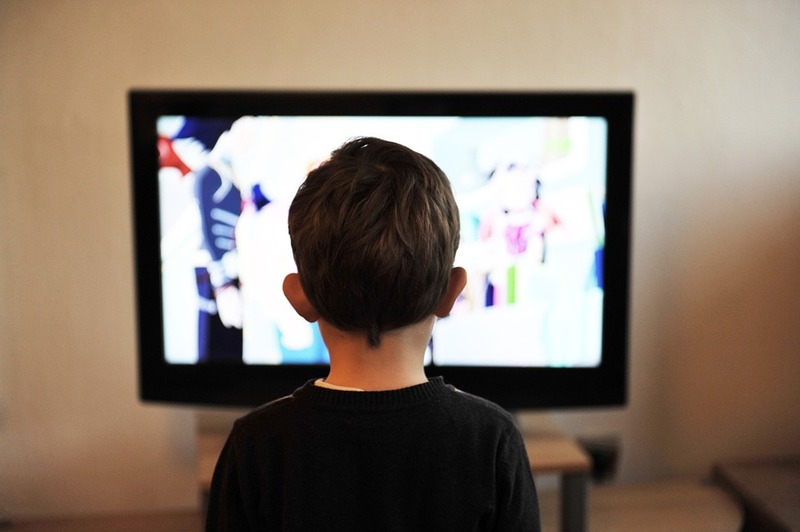 The sound quality of a small TV may be treated as a secondary or unimportant feature. Ideally, you should test the TV and listen to the sound before purchasing. Some things you can look for are built-in bass woofers, forward-firing speakers, and whether there is adequate space in the back of the TV for air movement, which affects the audio. The TV is Smart-enabled, allowing for streaming entertainment from the Internet. 1080p resolution lets you see high detail levels. It also has three HDMI input ports, two USB inputs, and Motion Rate 60, which provides a clear moving picture resolution. Samsung’s 32-inch TV has full HD in 1080p and features such as Micro Dimming Pro and Wide Color Enhancer. The Smart TV platform lets you access your favorite video content quickly and is powered by a quad-core processor. The TV uses Edge LED backlight technology, has a maximum resolution of 1920 x 1080, and allows for PC streaming, internet access, and streaming services. There are two speakers, four HDMI input ports, and three USB ports. The 32-inch TV is Smart-enabled, and the 1080p resolution allows you to see 1080p HD content at high detail levels. The TV has two HDMI input ports, one USB input port, Motion Rate 60 motion enhancement technology, and Wide Color Enhancer Plus. There are also built-in speakers with support for DTS Premium Sound and Dolby Digital Plus. This TV has an effective 120Hz refresh rate, 1080p resolution, and full array LED backlighting. Smart TV allows you to access popular streaming services. You can view HD content at high levels of detail. The TV includes DTS Studio Sound, two HDMI inputs for home theater connections, and one USB input for your digital camera or another USB device. This TV has a native 60Hz refresh rate and direct LED backlighting. There is no Smart functionality, but a Fire TV stick is included in some bundles to provide Wi-Fi support and streaming media options. The Fire TV stick can be plugged into an HDMI port. The TV has two HDMI inputs and one USB 2.0 input. This TV has a 120Hz refresh rate, and full array LED backlighting. There is built-in Wi-Fi for smart functionality, two HDMI ports and one USB port. This TV has a 60CMR refresh rate and LED backlighting. There is no Smart functionality or built-in Wi-Fi, but there are 2 HDMI inputs and 1 USB port. Despite the lack of a Smart function, this TV provides the basics. 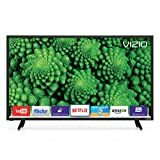 This Smart TV has full array LED backlighting, a 120Hz refresh rate, and built-in Wi-Fi to connect to the brand’s proprietary Internet Apps Plus so you can watch movies and TV shows and listen to music. 1080p Full HD resolution gives you a high-quality picture, and two HDMI ports let you connect HD devices to your TV. The TV has LED backlighting and a 60CMR refresh rate. There is built-in Wi-Fi for Smart functionality, along with two HDMI inputs and a USB port. Motion Rate 60 provides seamless motion, and DTS Premium Sound 5.1 gives you high-definition surround sound. The Wide Color Enhancer offers enriched colors and brightness. This TV has a 120Hz refresh rate, 1080p resolution, and Smart TV features, which are all rare in a TV of this size. It has full array LED backlighting and full HD resolution. You can stream TV shows, movies, and other content from your mobile device’s apps onto the big screen. Chromecast provides audio and video content from various service providers. Clear Action 240 gives you motion clarity and works well for fast action films and sports. 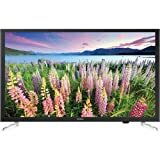 We recommend the Samsung 32-inch Class LED 1080p Smart TV (UN32J5500AFXZA) for both its generally good quality, the features offered, and the price. Samsung’s TV offerings are consistently highly rated and have a good reputation. Also consider Vizio’s TVs, which tend to have a higher refresh rate.